Dancing at two weddings with one laptop. With the Blade Stealth, Razer aims to attract gamers during the night and office workers during the day. In order to gain a performance increase compared to the predecessor, the Ultrabook is equipped with an i7-8550U of the 8th Intel generation. We took a look at the Kaby Lake refresh. The Razer Blade Stealth series gets a processor upgrade from the Intel Core i7-7500U to the Intel Core i7-8550U, which is the most current and 8th generation also called Kaby Lake refresh. The number of cores has been doubled to four, and we can also measure a 50% performance increase in the multi-core operation of the Cinebench benchmark. Yet not all four cores are running at the turbo speed of 4 GHz under full load, but they are throttled to 3.7 GHz. We will explain this behavior in more detail in the Performance section. Otherwise, the outsides of the Razer Blade Stealth remain largely unchanged, except for the case that is 0.7 mm (~0.03 in) thicker and a slight weight gain of 20 grams (0.7 oz) compared to its predecessor. The robust and high-quality unibody aluminum case, whose form and looks have remained the same, is equipped with one USB 3.0 (Type-A) connection on each side. An HDMI 2.0 port is still located on the right side, while the Thunderbolt-3 port, which also functions as the connection for the power supply is on the left. You can choose between two color options of the case with a different keyboard backlight on the Razer US website. You can either pick the Blade Stealth in black, with the bright green snake logo on the display lid and the Razer-Chroma keyboard backlight with 16.8 Million colors that you can combine individually, or the case in a gunmetal color with a modest gray Razer logo and the keyboard with a white backlight. In Germany, you can currently find only the first model in the shop. 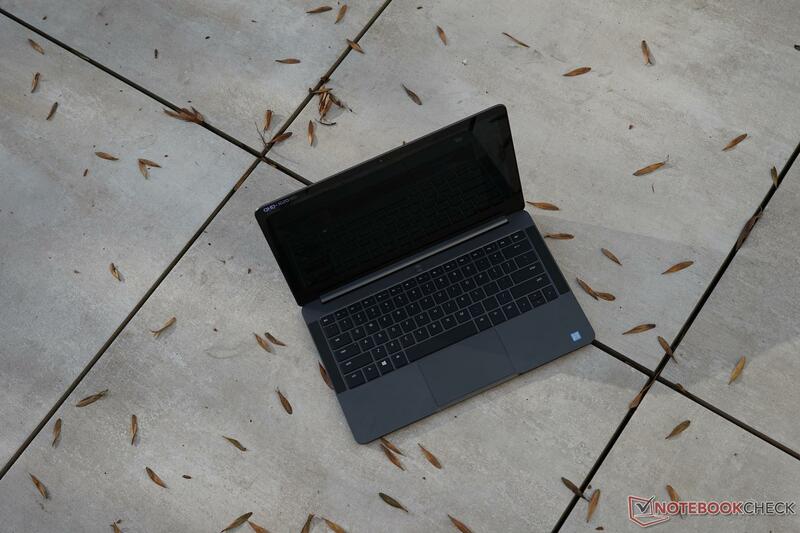 In this update of the complete review of the Razer Blade Stealth i7-7500U, we will only concentrate on how the CPU upgrade to the i7-8550U increases the performance. We compare the new Blade Stealth with its predecessor in the series as well as direct competitors such as the Dell XPS 13 or the Lenovo Yoga 920, both of which are also equipped with the i7-8550U. In its i7-8550U version, the Razer is only available with a reflective 13.3-inch QHD+ multi-touch display and a resolution of 3200x1800 pixels, resulting in a sharp 276 PPI. The built-in IGZO panel from Sharp has the model number LQ133Z1JW26, and as with the predecessor, the subjective impression is convincing in terms of the contrast, color presentation, sharpness, and brightness. The values measured in our extensive display check of the Blade Stealth i7-7500U, which uses the same panel, confirmed this with top grades for black value and contrast. While compared to the Intel Core i7-7500U model with its 12.5-inch 4K display, Razer was able to use a narrower bezel around the screen, there is still a 7 mm (~0.28 in) difference to the almost bezel-less "Infinity Display" of the Dell XPS 13. With the processor upgrade, for the first time we are getting the new Intel Core i7-8550U in the Razer series. This is also the only version of the Kaby Lake refresh that Razer is offering, since other i7 models of Intel's 8th generation will not be available. Instead together with the CPU upgrade, the Blade Stealth will also get faster storage with LPDDR @ 2133 MHz. The size format is a soldered-in 16 GB, also without any other options available. 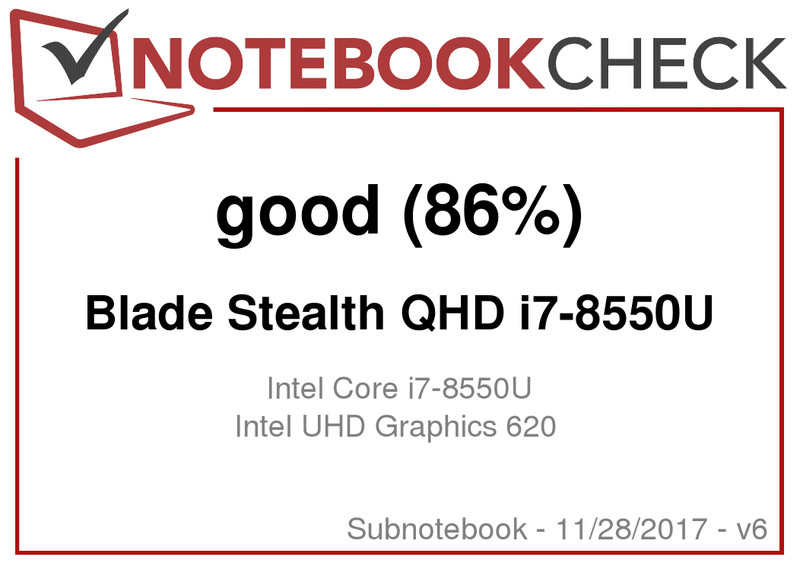 The four cores of the new Intel Core i7-8550U are now driving the Blade Stealth. Hold on, four cores in a "U" processor? Did a mistake creep into the test review? No, of course not. With the introduction of the 8th generation, Intel has changed the naming convention used. Before, only the more powerful multimedia or gaming laptops whose CPU names ended in "HK" or "HQ" had the privilege of owning four cores. Now, for the first time a "U" processor has been equipped with four cores. This gives the Razer Blade Stealth i7-8550U twice as many cores as its predecessor with an Intel i7-7500U. 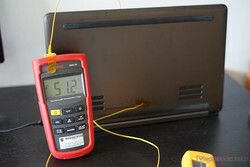 Despite that, Intel still manages to keep the TDP unchanged at the standard of 15 watts. 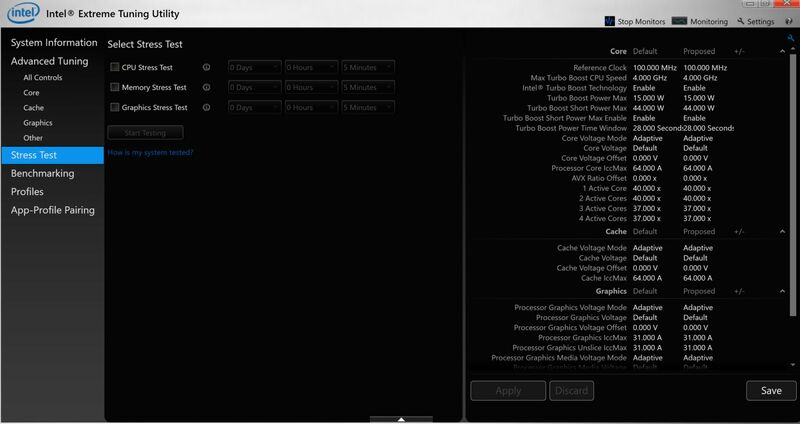 The Intel Extreme Tuning Utility tool reveals that Razer is following Intel's lead and keeps this setting. 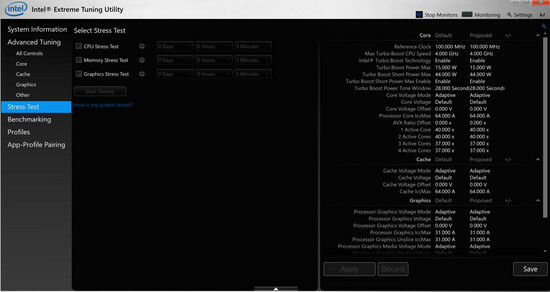 The Intel Extreme Tuning Utility tool shows a maximum of 44 W possible for 28 seconds. With the same power consumption for four instead of two cores, Intel has significantly lowered the base clock speed down to 1.8 GHz. This is 900 MHz lower than the i7-7500U, whose base clock speed is 2.7 GHz. On the other hand, the Turbo speeds up to a fast 4 GHz, but only on two cores. In the quad-core operation, the performance is slightly throttled to 3.7 GHz for all four cores under full load. However, for a brief performance boost the i7-8550U can use 44 watts for a period of 28 seconds. You can find further technical background information on the i7-8550U in our benchmarks for mobile CPUs. As expected, the Razer Blade Stealth i7-8550U does a decent job in our Cinebench single core test and achieves about the same level as the Dell XPS 13. Compared to the previous Blade Stealth model, the i7-8550U can move ahead by more than 15% additional points. In the multi-core benchmark test, the advantage is even a respectable 50% compared to the direct i7-7500U predecessor. However, compared to other i7-8550U models from Dell and Lenovo, the Razer still remains slightly behind here. The Razer deserves some praise on the subject of throttling, which did not occur at all in the Blade Stealth in the Cinebench multi-core loop test. 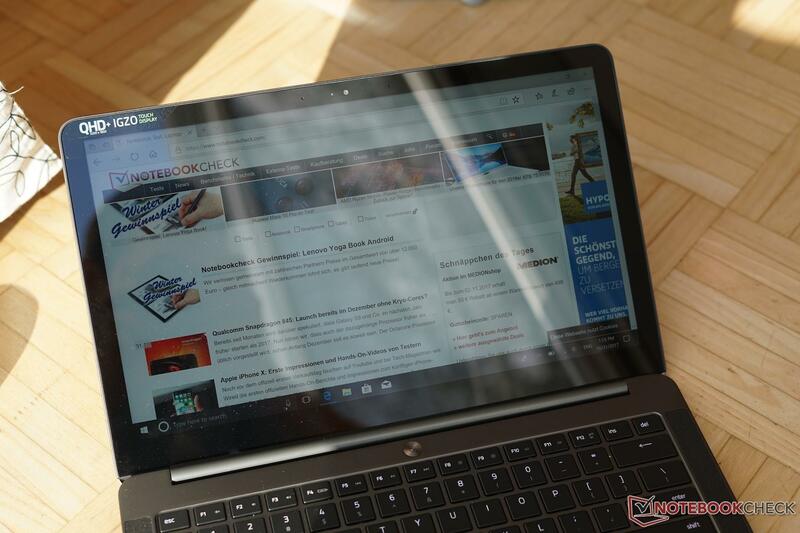 In comparison, the Dell XPS 13 looses 8 to 10% of the performance due to throttling in the prolonged run, dropping into the range of about 560 points. Yet, even in the throttled mode, it remains slightly ahead of the Blade Stealth. Even if the distance between the XPS 13 and Blade Stealth appears significant in the multi-core short-term test, both of the devices remain close together in the prolonged test. Even though the Razer Blade Stealth i7-8550U remains behind the Dell XPS 13 in the system performance, at 6% in the Work-Score test and 5% in the Home-Score test, the differences are only marginal and not really relevant in practice. The difference to the Lenovo Yoga 920 is more meaningful here, since it has a similar configuration with the i7-8550U and the same Samsung PM 961 SSD. 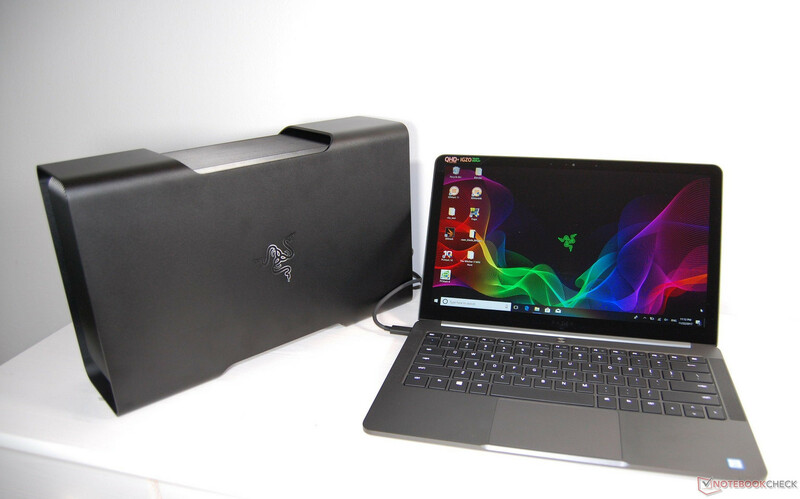 It is also striking that the Razer with the i7-8550U is not really able to score a performance advantage in the Home Score with its four cores compared to the two cores of the Razer Blade Stealth i7-7500U. How a multi-core system can optimally implement its performance in everyday usage depends a lot on the device drivers and the ability of the software used and whether this can really make use of the four cores. With the new Intel generation, for the first time the Intel Graphics UHD 620 is also introduced into the Razer. Apart from the renaming from HD 620 to UHD 620 and an increase of the turbo clock speed by 100 MHz to 1150 MHz, the new graphics chip does not bring any further changes. In both runs of 3DMark, the Razer Blade Stealth achieved about the same level as the Lenovo Yoga 920 and Dell XPS 13, which are also equipped with the UHD 620. 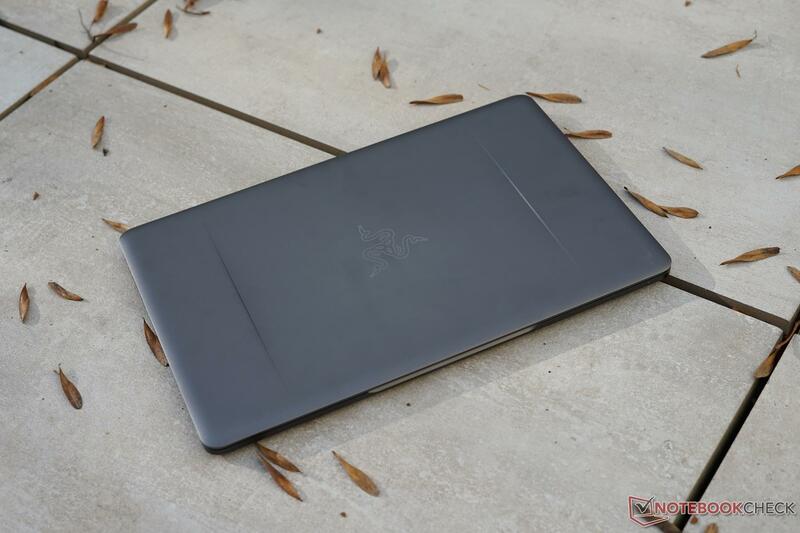 Looking at it neutrally, the Razer Blade Stealth does not deliver a stellar gaming performance with the UHD 620 and neither the Razer logo, nor the affinity of the manufacturer for gaming can make much of a difference here. Anyone who looks at the pure FPS values will see that the current graphics-heavy games such as "Deus Ex Mankind Divided", "Resident Evil 7" or "Prey" only remain relatively playable with minimum details. In some circumstances, it might be possible to play games that are a little older in medium details, but you should not expect much more than that. At this point, we should mention that Razer does not advertise the Blade Stealth as a gaming monster as such. Gaming such as on a desktop gaming PC is only possible in combination with the Razer Core V2, which enables the use of an external graphics card via the Thunderbolt-3 port. We are already working on a test review of this. The measurements of the fans in various load scenarios show slightly lower noise emissions than in the test of the Razer Blade Stealth i7-7500U. Our subjective impression also shows a comfortable and silent work machine. Unlike the predecessor, we are not hearing any coil whining in the Razer Blade Stealth i7-8550U. This positive point flows into our evaluation, slightly improving the rating of the Kaby Lake refresh model. 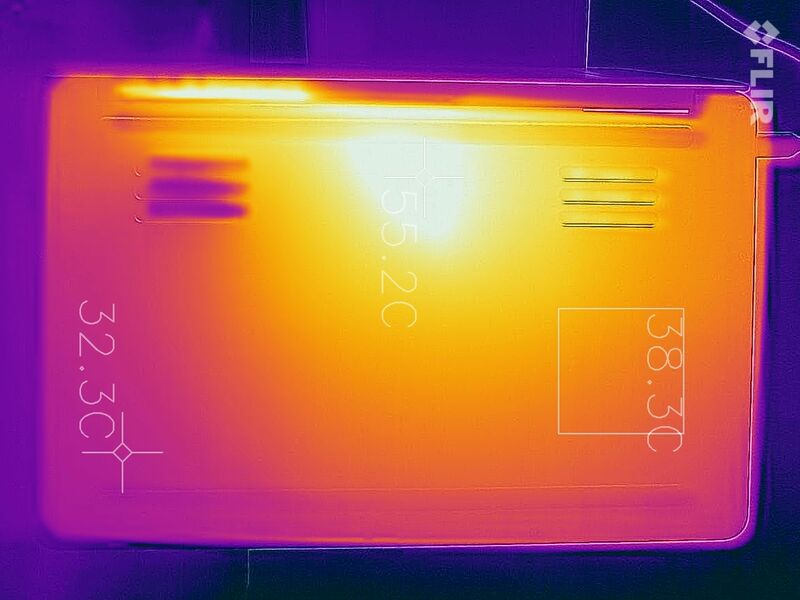 According to our temperature measurements, the Intel i7-8550U produces considerably more heat than the i7-7500U. 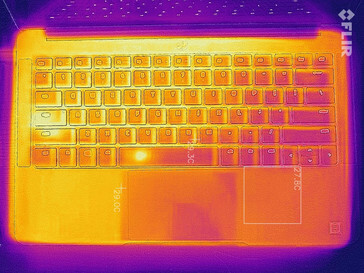 In the stress test, we measured increases in the temperature by up to 10 °C (~18 °F) in the area on the top, between the touchpad and the display. 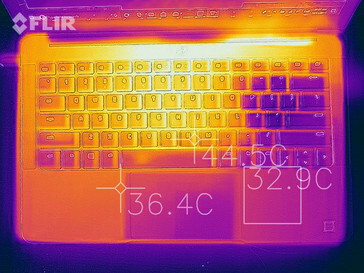 The central area on the bottom also gets about 7 °C (~13 °F) hotter than in the i7-7500U. Only in the palm rest area the temperature remains almost unchanged. Compared to the direct predecessor and the Dell XPS 13, with 7.5 watts on average during idle, the Blade Stealth pulls almost a quarter more power out of the battery with its i7-8550U and the larger display. On the other hand, the Razer shows its better side during full load, offering the best consumption results of the comparison models in the table below. The maximum value of 34.6 watts during full load is probably not completely realistic though, but due to measurement constraints might have been recorded only after the top value was reached. We can assume that the maximum is also in the range of at least 50 watts, as in the Blade Stealth i7-7500U. At 65 watts, the compact power supply is also generously sized even for more power-hungry applications. One thing is sure: the Blade Stealth will definitely not get you through a whole workday with its 53.6 Wh battery. With barely six hours of battery life during the simulated Internet surfing at 40% display brightness, the new model fares as badly as the Blade Stealth with the identical display panel (13.3-inch, 3200x1800 pixels, i7-7500U, Sharp SHP1493) from our display test, which also achieved only 6:26 hours of battery life. However, the Blade Stealth with the 12.5-inch display (2560x1440 pixels, i7-7500U, Sharp SHP142F) achieved 8:18 hours. 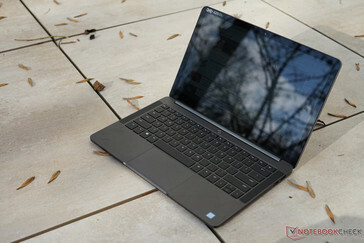 We can therefore conclude that the built-in 13.3-inch panel is not entirely blameless in the shorter battery life, since the Intel i7-8550U as well as the i7-7500U perform their work with the same TDP of 15 watts. Despite the four cores, the battery life under load remains at about the same level as that of the predecessor. Here you will appreciate the small and light power supply, since gamers need to find an outlet after 1.5 hours at most. The Razer Core V2 and the Blade Stealth: a perfect team. In all likelihood, the Blade Stealth will only address a small target audience. Even if Razer is associated primarily with gaming and gives the impression that it has brought a gaming laptop to the market, with its Intel-UHD-620 graphics chip the Blade Stealth is not powerful enough for the real gamer. Most of the current games that need a little more graphics power run on the medium detail level at most. And neither does the Razer completely fulfil the expectations of another group of buyers who need their laptop more in the office or on the road, due to the short battery life, the lack of a matte display option, and the few connection options. "Laptop during the day, desktop at night." Razer was aware of the necessary balancing act between two different groups of buyers. The Blade Stealth surely is interesting in combination with the Razer Core V2 for gamers at night. The Core with an external graphics card completely replaces the internal UHD 620 via the Thunderbolt 3 connection, offering astonishing performance increases throughout all games. We have already tested this extensively. As an example, we use the "Resident Evil 7" game with high details (1920x1080 with AF, FXAA, and TAA): While the Razer Blade Stealth only achieves unplayable 10 FPS with the Intel UHD 620, the frame rate with the Razer Core V2 and an external Nvidia GeForce GTX 1050 shows an increase by 82% to 56 FPS. The 40 Gbit/s of the Thunderbolt port hardly slow things down here, since the same graphics card achieves about 59 FPS in a desktop configuration. Shortly we will also publish a review of the Razer Core V2 and the Blade Stealth with all the interesting benchmark results of the current games, contrasting the performance differences between an internal and external monitor. However, something that might speak against the nightly excursion into gaming is the price. The list price of the Razer Blade Stealth i7-8550U with a 256 GB SSD is at about 1600 Euros (~$1900; $1699 with a 512 GB SSD in the US). Added to this are 520 Euros (~$618) for the Razer Core V2, so you quickly reach 2120 Euros (~$2518) and that does not include the graphics card. However, it is tempting to sit in the office with an inconspicuous notebook during the day and transform this into a gaming monster at night.